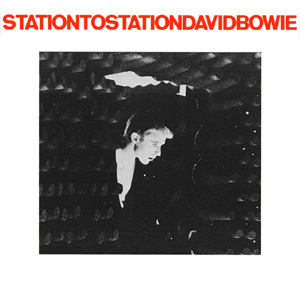 Station to Station is the tenth studio album by English musician David Bowie, released by RCA Records in 1976. Commonly regarded as one of his most significant works, Station to Station is also notable as the vehicle for Bowie's last great 'character', The Thin White Duke. The album was recorded after he completed shooting Nicolas Roeg's The Man Who Fell to Earth, and the cover featured a still from the movie. During the sessions Bowie was heavily dependent on drugs, especially cocaine, and recalls almost nothing of the production.